Mornings for us are quite relaxed and you may be thinking to yourselves that there is no way a family morning can go smoothly on a school day, but it honestly can if you plan ahead. We get up at 7am and all the children know that they must get dressed before coming down stairs. I also get ready for the day as soon as I wake up. We then all sit down to breakfast, on weekdays we normally have a choice of cereal, toast, fruit and yogurt, but on a weekend or holiday I will make something that is more of a treat such as pancakes or breakfast wraps. We then brush teeth, I do Faith’s hair and we gather our things. We are normally ready to leave earlier then needed so I then let Faith watch TV or go on the computer until it is time to leave for school. The reason that things go so well for us in the mornings is because we use to have very stressful mornings a few years ago and I knew that things needed to change so I started planning ahead to avoid things that would cause arguments or leave me feeling frazzled! I wrote a post back in January about my Key to happy mornings which covered the three easiest things to help start your mornings happy, which are basically choosing outfits the night before so that you know what you are wearing, making lunches and preparing snacks for school or work the night before and packing bags ready for the next day. Those three things really help but I do have a few other tips that I thought that I would share with you. * If you wake up and feel in a bad mood, look in the mirror and smile at yourself. It really does lift your mood! * Put some energetic music on to help wake you up, again lifting your spirits. * Enforce the rule of no TV, computer, or phones etc until you are completely ready to leave the house. * Write out a routine of the order in which you would like your children to do things in the morning, so that they know what they have to do and when they need to do it. * Have a designated area for leaving packed school bags, hand bags and extras that you need to take the next day like P.E kit’s so that in the morning you can just grab and go. * If you have a large family with teenagers that like to shower and take up the bathroom for a long time, draw up a bathroom rota so that every one can have the time to get ready without any fights. 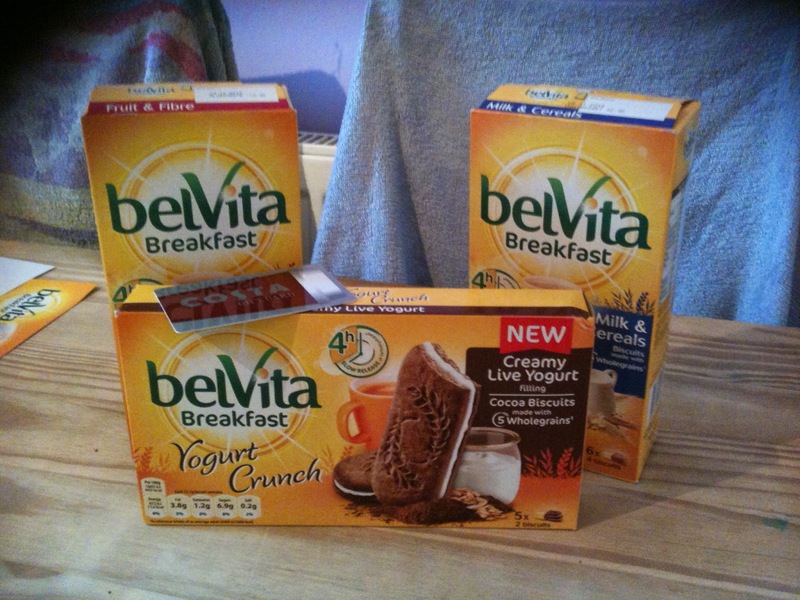 Another thing that really helps with my teenagers is breakfast biscuits so when asked if I would like to review Belvita’s new range I was more then happy to do so. Lauren, my oldest, has been very hard to get to eat breakfast in the mornings for quite a while now as she says that she doesn’t feel like eating. So I make sure that I have breakfast biscuits in my cupboard and then if she is having one of those mornings I get her to drink a glass of milk and then take a packet of breakfast biscuits and a piece of fruit to school with her. She can then eat it on the way to school, in her form room once she gets there or at break time. They are also really handy for when the unexpected happens and you are in a rush to get out the door as you can take them with you and eat at your convenience. BelVita breakfast biscuits are the only breakfast biscuits that are proven to slowly release carbohydrates over four hours as part of a balanced breakfast. BelVita recommend that a balanced breakfast would be a portion of breakfast biscuits (they come wrapped in portion packs), a portion of fruit, a serving of dairy and a drink to hydrate you. BelVita breakfast biscuits come in 13 flavours, so there really is something for everyone. I was sent a packet of ‘milk and cereals’, ‘fruit and fibre’, and ‘Yogurt crunch’. The milk and cereals biscuits were loved by all of us. The funny thing is that when you look at the four biscuits in your portion they can be quite misleading. I thought that I would be really hungry, but they are actually really filling, especially when eaten with fruit, dairy and a drink. They also surprised me as I thought that I would definitely be hungry before lunch, but I didn’t even think about food until lunch time so they actually filled me up for longer then a bowl of cereal. The fruit and fibre were also very nice but my teenagers were not so keen on those ones, however, hubby absolutely loved them and now has some boxes hidden away that are just for him! I was excited to try the yogurt crunch breakfast biscuits as I had never tried them before as they are new. They are cocoa biscuits sandwiched together with live yogurt and you get two sandwiched biscuits as a portion. Each pack contains five portions and they contain vitamins B1 and E, calcium, magnesium and iron. They are made with wholegrain and are a source of fibre. The yogurt crunch breakfast biscuits were really nice and filling too. The kids all loved them as they think that they are having chocolate biscuits for breakfast which is such a treat in their eyes, little do they know that they are actually eating a good balanced breakfast! 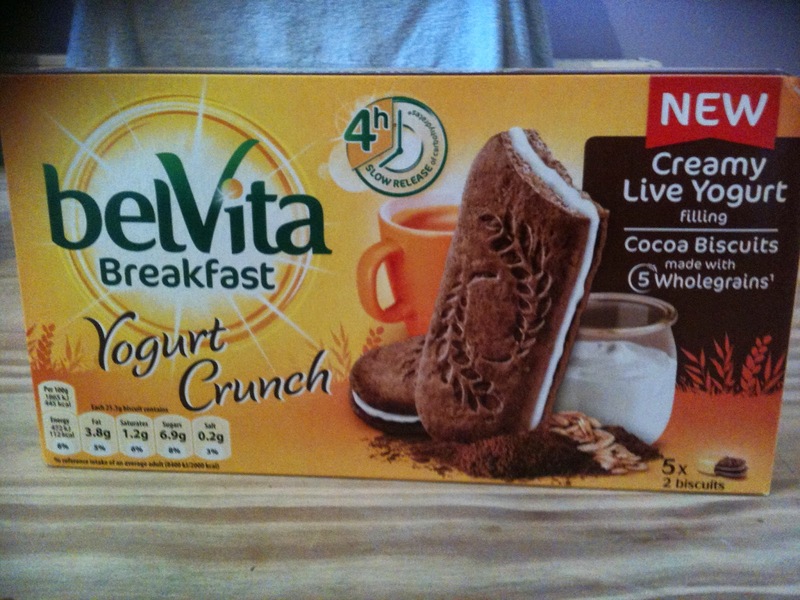 This post is an entry for #MorningStories linky Challenge sponsored by belVita Breakfast. 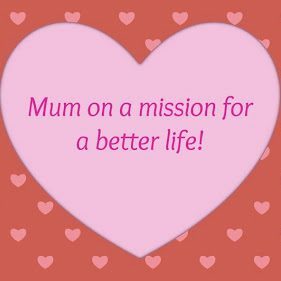 Learn more atwww.facebook.com/belVitaUK.